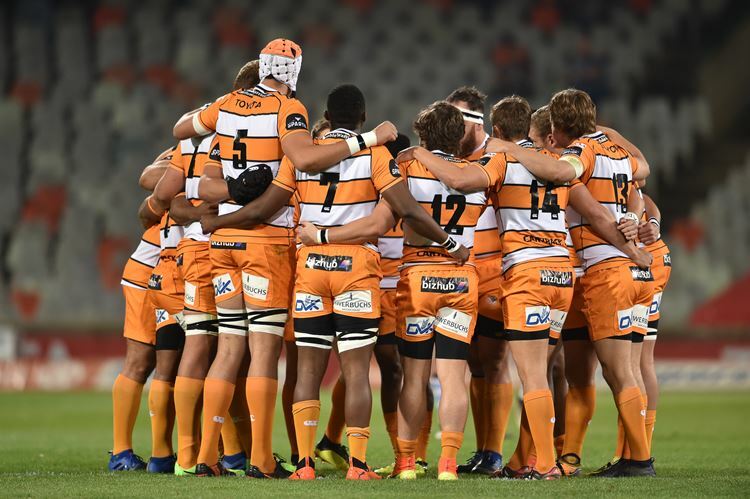 The Toyota Cheetahs will be taking on Connacht in Round 10 of the Guinness PRO14 Championship on Saturday, 1 December 2018. The action kicks off at 17:00 (SA time) with a live broadcast on SuperSport 2 and 6 (Free Sports and and eir Sports at 15:00). Gates open at 14:00 with a curtain raiser between the Bloemfontein Legends and the Ninja Turtles as 15:00. The Toyota Cheetahs and Connacht have met twice before and both matches were closely-fought, with the Toyota Cheetahs winning their home match 26-25 last season, while Connacht registered a narrow 23-15 victory in Galway. The Toyota Cheetahs have been more effective on attack this season with 28 tries scored to Connacht’s 25. “For us it is going to be important to build on our performance and to keep momentum going. We would like to end the year off with another win. We know what is expected of us,” said Coach Franco Smith. Tickets are only R40 for the main stand, R30 for the open stand and R20 for students and kids. Kids under the age of 7 can collect a free ticket from the gate. Tickets are available from the ticket office in Toyota Stadium or online at www.fscheetahs.co.za. •Erich de Jager moves to the starting line-up, with Aranos Coetzee to the bench. •Sintu Manjezi and JP du Preez will be the starting locks, with Justin Basson providing cover on the bench. •The loose trio will be Junior Pokomela, Abongile Nonkontwana and Gerhard Olivier with Daniel Maartens providing cover on the bench. •Louis Fouche and Tian Schoeman will be switching places. •After coming through the Toyota Cheetah Academy ranks, Darren Adonis will be making his Guinness PRO14 debut on left wing. •Benhard Janse van Rensburg and William Small-Smith will be switching places, with Small-Smith back in the starting line-up. The following players are not eligible for team selection due to injury: Quintin Vorster (ankle), Dries Swanepoel (shoulder), Oupa Mohoje (knee), Luan de Bruin (ankle), Jasper Wiese (shoulder), Lloyd Greeff (hamstring), Jacques Du Toit (knee), Boan Venter (hip), Jamba Ulenga (neck), Rabz Maxwane (quad).Tian Meyer is on a player management program and Walt Steenkamp will be getting married on Friday. Come and enjoy the last match of the year in Toyota Stadium! •Guinness PRO14 caps indicated next the player’s name. The referee for the match is Dan Jones (WRU,20th competition game). He will be assisted by Craig Evans (WRU) and Ben Crouse (SARU). The TMO is Johan Greeff (SARU).